I fell in love with stone carving in the early 1990’s. I carve mostly Soapstone, Alabaster, Wonderstone and Chlorite. I like to blend the Spirit of the stone with the Spirit of Nature’s creations utilising only hand-tools in a time honoured tradition. I always finish my creations to a high degree of smoothness often commented on. 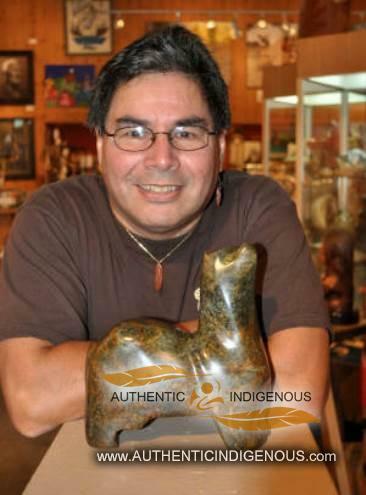 Mark Redsky (Red Sky) is a status Ojibway artist raised in B.C. He blends the Spirit of the stone with the Spirit of nature’s creations. Each piece is unique as he handcrafts each one utilising only hand-tools in a time honoured tradition. Mark buys his stone from suppliers who import Alabasters from Italy (White) and the USA (Translucent orange & pink) as well as Soapstone from Brazil and African Wonderstone (Blackish or Purple). Mark discovered his artistic talents in high school, and fell in love with stone in the early 1990’s. 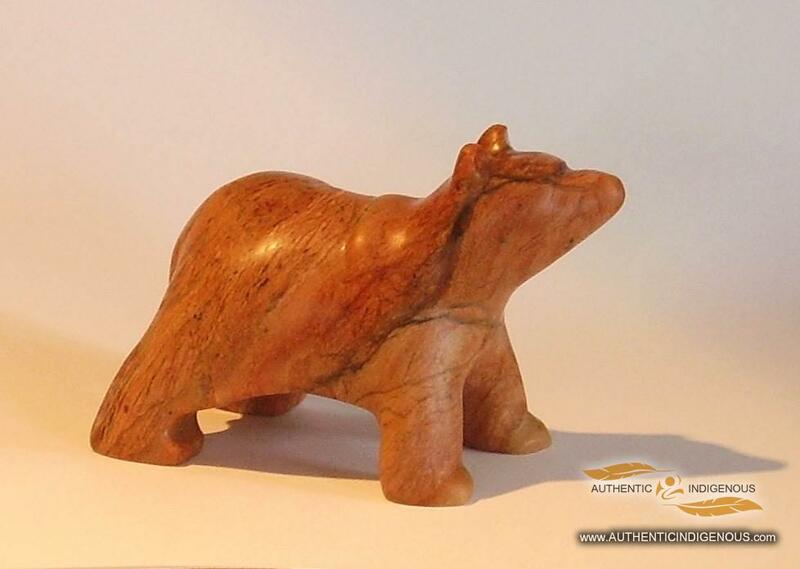 Originally, from Kenora Ontario, Mark draws upon his heritage and his love of nature for inspiration in his creations. His carvings have been widely welcomed by galleries and collectors of stone art.